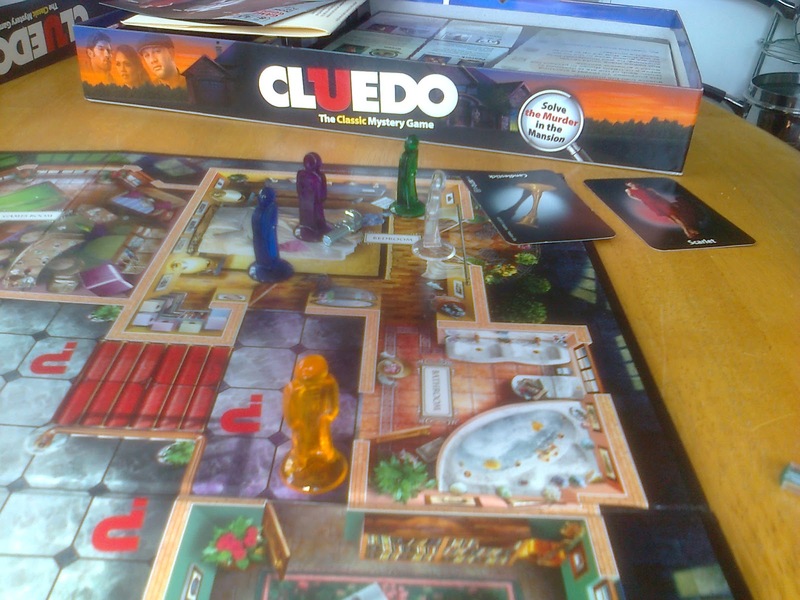 The Blog of Thog: TableTop Day success! I'm aware that as I post this, in the USA TableTop Day is only about half way complete. But here in the UK, it's evening and we've finished our session of gaming. It went great! 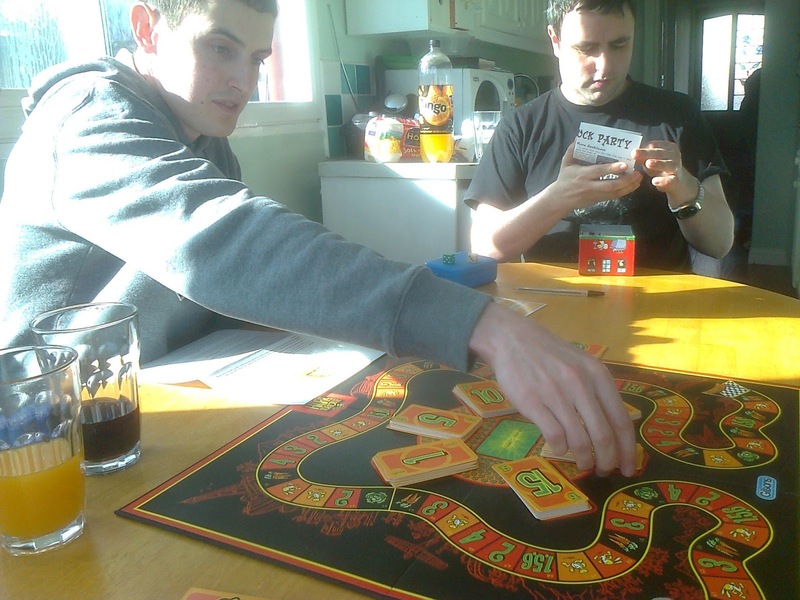 Had a few guys round, played Cluedo, Chez Geek, Hare and Tortoise Race Game, and finished off with Cards Against Humanity. Everyone had a great time and hopefully we can arrange something like this again in a couple of months. 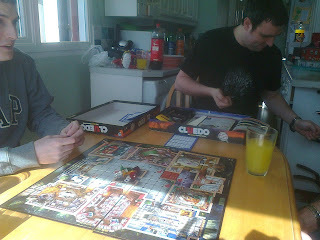 Our characters tended to stick together in Cluedo - like in this picture, where we're (almost) all in the bedroom together. 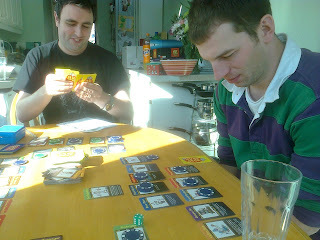 If you don't know what I'm talking about, check out http://www.tabletopday.com/ and play more games! Seriously, it's a massive event. 2000+ events in 50 countries (including places like the South Pole), all people getting together to play some games. It's fun. 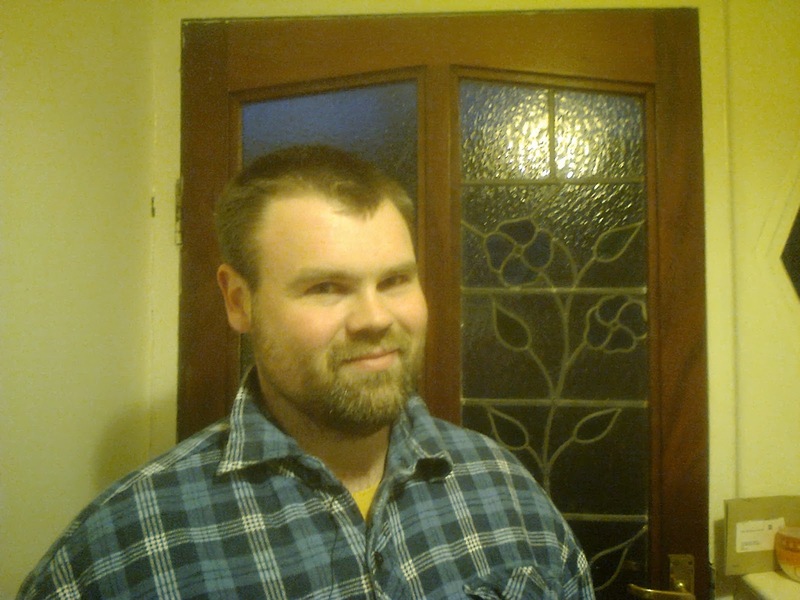 Mike post-event looking a little bit like a lumberjack. About to kick off Cluedo. It's hard to believe that only one of us is a murderer. 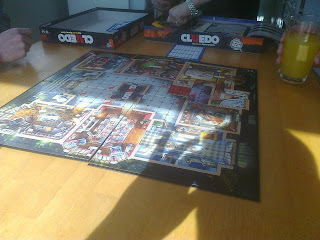 Getting to grips with Chez Geek. Dave surveys his slack in Chez Geek, crippled by an unwanted person resistant to die rolls. 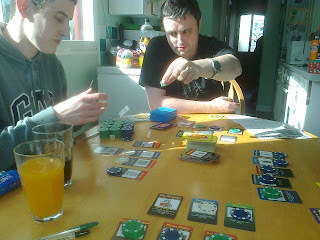 The surprisingly tactical Hare & Tortoise - everyone is convinced that they can play it. We're all wrong. Cards Against Humanity. Great care was taken to ensure all the readable cards in this picture are relatively inoffensive. Nice to see more people having fun on TableTopDay. 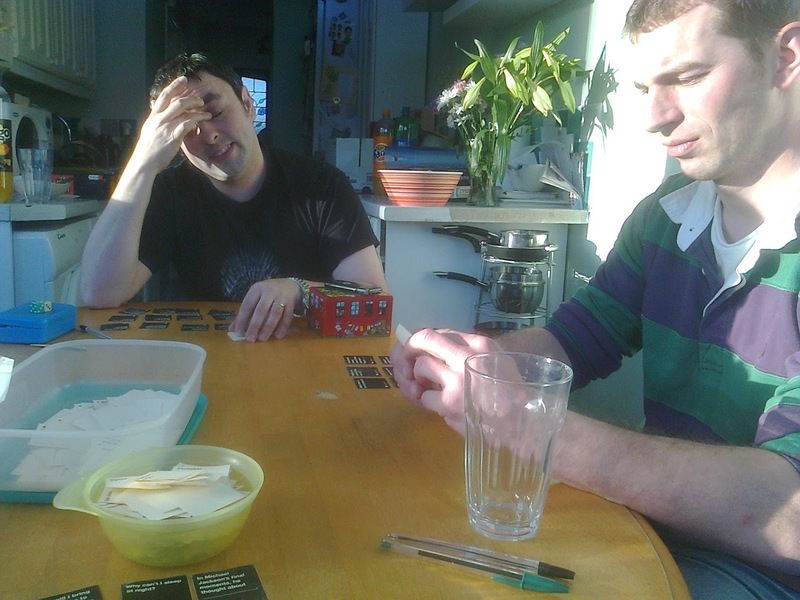 I've never played Cards against Humanity, I plan to some day since it always looks so much fun. It is great and you can either buy it, or if you have the facility to print it out (and patience to cut it up!) you can get it for free too from the website. Why do bags of revels include the nasty ones? Earth Hour, Eye of the Beholder and Slankets! Tabletop gaming day is coming!